HARTFORD, Conn., July 24, 2017 – PBS today announced plans to air DIANA – HER STORY, a new documentary featuring rare video of Diana, Princess of Wales, speaking openly and candidly about her life and troubled marriage, along with new revealing interviews with some of her closest confidants. What emerges is the story of a shy young girl who was swept onto the world stage in 1980 and who died tragically in 1997 as one of the most famous women in the world, an independent, modern “people’s princess.” The film is produced by Kaboom Film & TV and is directed by Kevin Sim (“Once Upon a Time In Iran,” “Beslan”) and executive produced by Charles Furneaux (“Touching the Void,” “The Shooting of Thomas Hurndall,” “Treblinka”). 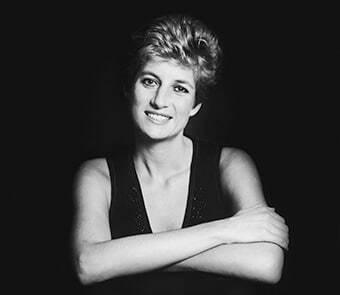 DIANA – HER STORY premieres on Tuesday, August 22 at 8 p.m. on Connecticut Public Television (CPTV). In 1992, Diana, whose marriage was in trouble, was becoming increasingly isolated from the royal family. Believing that her popular appeal was her greatest strength, she hired speech coach Peter Settelen to help improve her public speaking and reinvent her public persona in the midst of personal strife. In a series of disarmingly frank videos shot by Settelen at Kensington Palace, a private Diana comes into view as she ultimately reveals her version of the events. Playful, charming and unguarded, she tells stories from her life in intimate detail, sharing how she went from shy teenage girl to unhappy newlywed to a young woman searching for her own voice and place in the world. DIANA – HER STORY places the events of Diana’s life into historical context, revealing a nation hungry for what seemed to be a fairytale marriage between Charles and Diana. Further insight is provided through new in-depth interviews with those closest to Diana, including her trusted confidant James Colthurst, ballet teacher Anne Allan, private secretary Patrick Jephson and personal protection officer Ken Wharfe. The multi-layered and nuanced portrait of Diana that emerges is of a naïve teenage girl who ultimately transformed herself into someone the crown would fear as more popular than the monarchy itself. DIANA – HER STORY is produced by Kaboom Film & TV LTD for PBS in association with Channel 4 in the UK.